What is the purpose of rising arm barriers? These products present a simple way of managing incoming and outgoing traffic for any given area or facility. 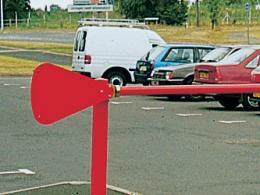 They are often used in parking lots, at check points, and at factory entrances. 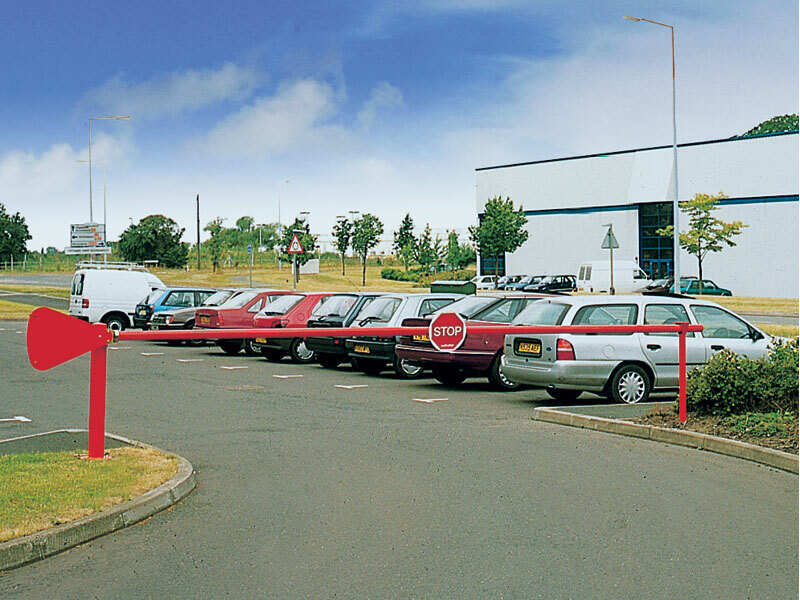 They make it easy for anyone to protect their facility from uninvited vehicles. These rising arm barriers can be used almost anywhere, from parking lots, to factories, to farms, to residential areas, to parking garages, to anywhere else you need to get control over in-and-out traffic. 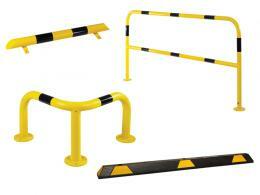 These items are a simple but effective way to manage traffic flow. They require manual operation, so they do have to be used at a location with staff on-site. This product is great for anyone who wants a simple, manual option for managing traffic flow into a given area. It is great for anyone managing a parking lot, a security check point, a factory entrance, etc. These items are carefully made from high quality materials. They are sturdy and reliable. A single item has a roadway span of up to 7m. 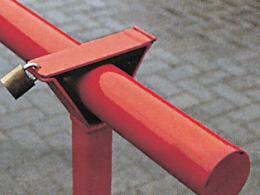 If you need a longer span, you can purchase two items and create a double span of up to 12m. These items are powder coated, and you can choose between a bold red and bright yellow for your powder coat. All of the moving parts in this item are passivated and electroplated. You can choose between a STOP sign and a NO ENTRY sign, depending on what your purpose is. This item comes with a locking post as well as an arm support. It also comes with a padlock and keys. If you have any questions about this product, please let us know. We are always happy to answer your questions.